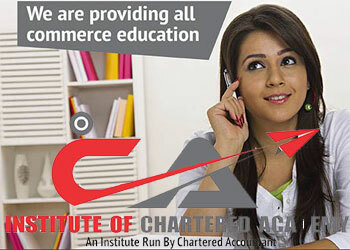 For giving high quality education for class 11th and 12th students in the area of Commerce education, Institute of Chartered Academy – well known as best commerce coaching in patna for XIth, XIIth (11th & 12th), B.com, CA Foundation, CS Foundation, Inter, BBA, MBA has always adhered to maintain good governance by satisfying our students at utmost priority which help them to secure good results in the examination stress by enhancing their knowledge with unbeatable concept. Our institute is located in Boring Road area in Patna but we have students from various areas like Boring Road, Mithapur, Punaichak, Shivpuri, Buddha Colony, Boring Canal Road, Anandpuri, Kankarbagh, Anisabad in Patna. Instutute of Chartered Academy is one of the most renowned coaching institute for commerce studies in boring road Patna for 11th and 12th classes of Bihar Board, CBSE Board, ICSE Board. Even since it’s inception on 2014 the institute has been successfully accomplishing it’s objective and has gained recognition as a leading coaching institute of Bihar for subjects related with commerce. ICA aims to educate leaders of enterprises. We believe these leaders contribute to make a difference to their organizations and to the world around them. In our endeavor, we draw upon reserves of goodwill among the diaspora of our alumni, reputation among recruiters and potential students, and commitment of our faculty and staff to the institute. To achieve this goal, the institute is following a three-pronged approach. Courses provided at our coaching in boring road, Patna are : Basic XI-XII, XI-XII (I.com), Basic B.com(H)-1, Basic B.com (H) – 2, Basic B.com (H) – 3, Advance B.com(H)-1, Advance B.com (H) – 2, Advance B.com (H) – 3, BBA (I+II+III), M.com, Pinnacle and Professional. Experienced Faculty with Proven Track Record & Industry Experience We have Highly Qualified Industry Experts like CA's, CS, Professors & Senior Teachers as our team who have many years of teaching experience & are known for producing excellent results. It gives me immense pleasure to introduce you to ICA the best institute is one of the most important decision you make in your life and we will help you to do so.. Our extremely talented and dedicated faculty helps student to inculcate spirit. Our dedication dynamism and resourcefulness. Such that they acquire quality of academic leadership. Call us at 9546513345, 8709867010 for more details.